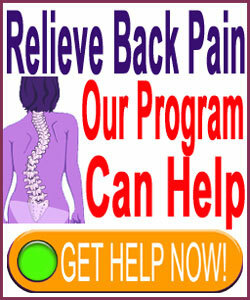 Are you suffering a pinched nerve from scoliosis? You are not alone. Severe spinal curvatures have the potential to reduce the patency of the neural foramina, causing the ideal circumstances for a compressive neuropathy to occur. However, it must be noted that these scenarios are rather rare, as most scoliosis is asymptomatic and innocent of causing any pathology in the spine. Furthermore, some cases of pinched nerves are unfairly and incorrectly blamed on scoliotic formations, leading to misdiagnosis, contraindicated and ineffective treatment, as well as disappointing therapeutic outcomes. This treatise explores the possibility of scoliosis creating pinched nerves in the spine. We will examine how compressive neuropathies can be caused by atypical side to side spinal curvatures, as well as the scenarios when scoliosis is mistakenly judged to be the origin of neuropathy symptoms. Scoliosis bends the spine abnormally, causing the vertebral bones to meet at odd angles instead of adjoining flat surfaces and misaligning the central spinal canal. Since the vertebrae do not line up as naturally engineered, there are likely to be great discrepancies in foraminal size and patency bilaterally at any particular spinal level. In essence, at active areas of curvature in any particular vertebral level, one side of the spine will face into the curvature, decreasing the available space in that neural foramen, while the opposite side will face away from the curve and will likely feature larger than typical neural foramen. Nerve roots that exit towards the interior of the curvature have a far greater chance of being compressed by less patent foraminal openings. 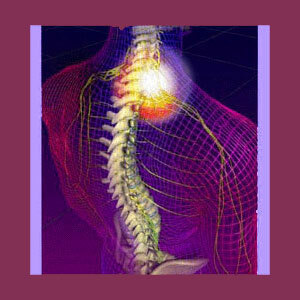 Meanwhile, nerve roots that exit towards the exterior of the curvature will virtually never suffer impingement. The mechanism of action for these compressive neuropathies is simple reduction in the available space through which the nerve root can exit the spine, due to closer proximity to the edge of the adjacent vertebral bone on the interior of the curvature. This process is called foraminal stenosis. Certainly one can deduce from any imaging study of a scoliotic spine that the neural foramen will be narrower on the interior of the curvature. The greater the degree of curvature, the more this fact becomes apparent. However, the neuroforamen are usually more than large enough to allow safe passage of the nerve root, even when their patency is decreased by 90% or more. This is a proven scientific fact. Most enlightened doctors now agree that in order for a nerve root to suffer compression, virtually the entire foraminal opening would have to be blocked. Most mild to moderate scoliosis simply does not have the potential to cause such impediments all by itself. However, this does not prevent many patients with incidental symptoms from being diagnosed with neurological compression due to their atypical curvature. Treatment for these conditions generally yields poor outcomes, since there is another underling cause of symptomology, with the scoliosis merely acting as a convincing scapegoat. Pinched nerves can definitely occur due to scoliosis alone, when the curvature is very severe and bends the vertebral column in extreme ways. However, it is far more common that scoliosis patients might suffer true compressive neuropathies as a result of a combination of factors working together, including scoliosis, as well as scoliotic-driven and typical versions of degenerative disc disease, herniated discs, spinal osteoarthritis, vertebral rotation and changes in lordosis or kyphosis at the same levels. Remember that foraminal narrowing is universal and expected in the neck and lower back, but can occur anywhere in the spine. Most cases will never compress a nerve, although some instances will completely seal the foramen, eliciting symptoms. Side to side spinal curves certainly do increase the incidence of this occurrence, so scoliosis patients do demonstrate heightened risks for pinched nerve development compared to people without spinal curvature abnormalities. However, the occurrence of pinched nerves is still rare and is usually limited to patients with severe cases of scoliosis, as well as other severe forms of spinal deterioration that have significantly influenced the patency of the neural foramina.